This guide covers the dungeon Broken Prison in the Fang and Feather patch. This guide is currently a work-in-progress. 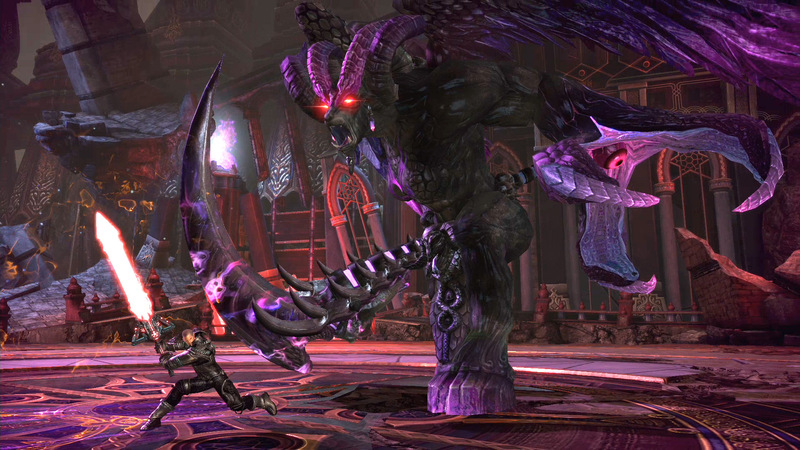 The world of TERA is dotted with captive gods, imprisoned for their crimes against mortals and the other gods. The most despicable among these is Lakan, whose prison under Oblivion Woods has begun to show signs of mysterious activity. Someone or something is attempting to infiltrate the prison and free Lakan…and it is up to you to stop them. The first room has 6 Archdevan mobs. They’re are just as same as Archdevan mobs you’ve encountered in Shadow Sanguinary and Lilith’s Keep. Defeat them and Balbatos will make his first appearance. After fighting him for 10% of his HP, he will summon Gorgoth and run away. Gorgoth is Hydrath-type BAM. You will have to be cautious of its constant slams with its arms. Basic Attack (Primary Aggro) – Strikes the person with Aggro twice with its snake arms and delivers a third blow. This isn’t much of a threat, but if the tank takes hits from this constantly, it becomes a burden for Healers to keep up. Basic Attack (Secondary Aggro) – Turns to a person with secondary aggro, swings its snake arms twice and delivers a 5-way split lightning path. This can be moderately dangerous as those lightning trails can drain 30~50% of your HP. 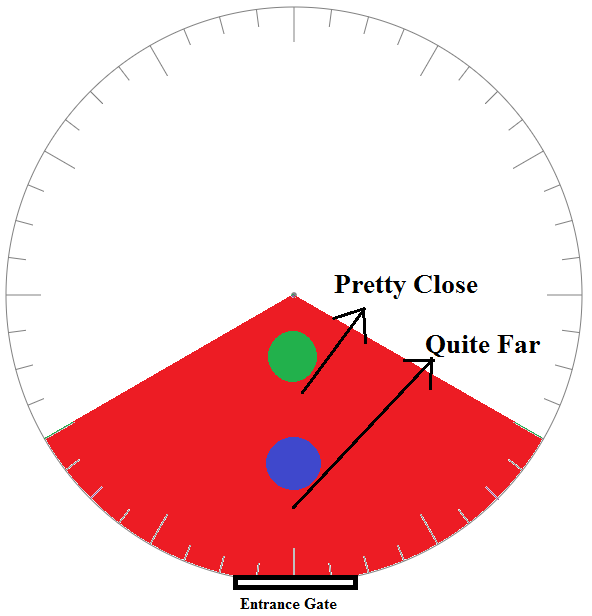 Random Target AoE – Targets farthest person. 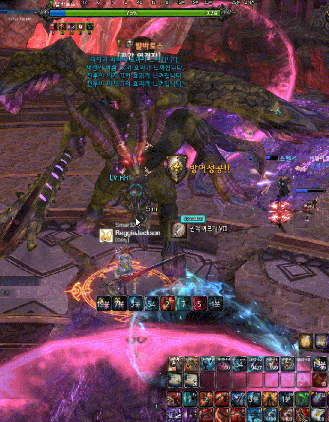 Advanced: Best strategy is to have healer take this behind tank with some distance to prevent the boss from turning; however, ranged DPS might need to be cautious about their range while healer is doing this to avoid boss from turning around. Blender – “I desire a sacrifice!” – Initiates with yellow 10m AoE that inflicts stun that can be iframed and blocked. The blender attack can also be iframed and blocked. 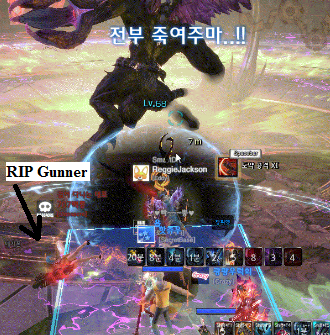 Healers should be ready to cleanse the stun if necessary. However, be careful as this attack will push you across the room. Triple Donuts – The boss will flip in its place twice, puts inner, mid and/or outer at random order consecutively 3 or 4 times, dealing 80k flat damage that cannot be iframed or blocked. Just move out of the way. Ranges of this attack seems to be 0-10m, 11-20m, 21-30m. 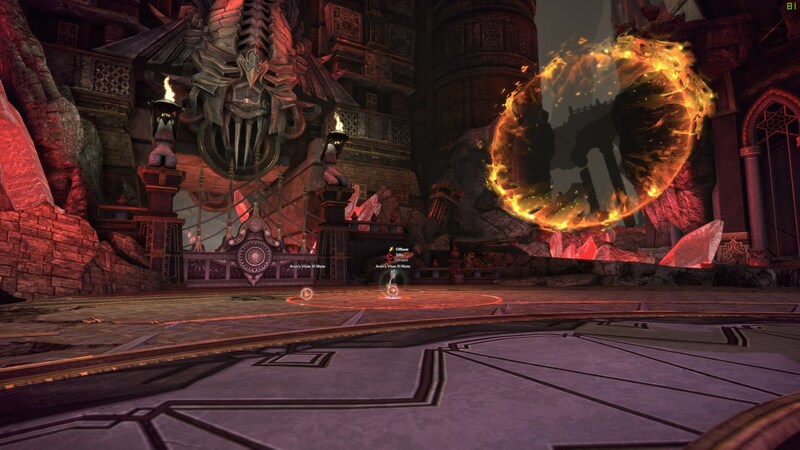 Destructive Energy – Starting 90% HP, the combat area will be limited similar to Lilith’s Keep. Stepping on this area will inflict a bleed debuff that drains 40k HP per tick. Your party’s performance in Fire and Lightning will determine whether this area will expand or shrink. Cannot be iFramed or Blocked. This attack can be fatal. Fire & Lightning – Initiates every 1 minute after first time at 90~80% HP (unsure). Success shrinks the Destructive Energy, while failure expands it. Read the text that appears in the middle of screen, which indicates the number of members required to stand in the Fire and Lightning AoE that forms under 2 random party members. So 1 person will have a orange AoE (fire) under them, while another will have blue AoE (lightning). (X) for fire, (Y) for lightning.The number X and Y can be any number between 1 to 5. TL;DR – The number of people hit by the orange AoE must match the X number, the number of people hit by the blue AoE must match the Y number. At first, it starts with 2 Fire and 2 Lightning. You can easily distribute this by having 2 groups of two people in the AoE separately, but the two people with the AoE can stay together by themselves as well. 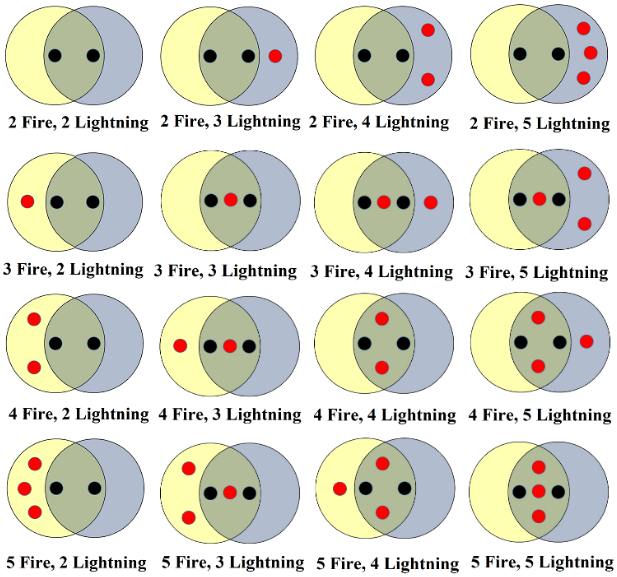 However, if you get something like 4 Fire, 3 Lightning, you can already tell that you cannot have 2 separate group as there are only 5 Party members, so you must overlap the Fire and Lightning AoE so that 1 person take Fire only, 3 people take both Fire and Lightning. Note: If you don’t understand just by reading, just see image; this might be easier to understand if we put it visually. If you successfully complete this mechanic, the Destructive Energy will shrink up to about 30m away from the center of the room. However, if you fail this mechanic, the Destructive Energy will expand up to about 10m from the center, leaving little room for combat and Puddles. Puddles – Red AoE indicator will appear under everyone. Everyone must place these puddles as far away from the Boss possible. Failure to do so will limit your combat zone as these puddles stay for long time (unknown whether it stays entire fight). Also, DO NOT immediately run in after placing the puddle as it will follow up with Blender attack. If you get pushed into the puddles or Destructive Energy. You encounter Balbatos again, take him to 90% HP. Nothing new. He’ll run away agin and summon Molek. If you can successfully read and understand this part, you don’t even have to worry about the Gauge and its maths behind it much. This gauge starts with 50, and you must try to maintain it around 50 as much as possible. You don’t want the boss to be too happy nor too angry, so help him control his mood swing problems. Above 50, the gauge will slowly increase by 1 every 2 seconds, while below 50, the gauge will slowly decrease by 1 every 2 seconds. Then there will be either Orange or Blue aura around the boss. Make sure you’re watching this aura’s color when the message pops up. Orange Aura – Breathes fire that spins completely around the boss clockwise once. For Veterans, this is very similar to 360 single laser like Meldita. However, if you don’t even know what M in Meldita is, then think of Verno’s Laser from Demokron Factory with the speed of “Burn! !”, but the laser starts from where it’s facing. One strategy is to stand near its left arm and iframe to the right arm, but since the fire spins around quite fast, you can easily iframe it without worrying about timing too much. Tanks can just move toward left arm and move to right arm to avoid it. Some may remember Manglemire’s star mechanic. However, if a person fail to enter the blue circle, they just die in place. Other than instant death, there is no extra penalty from this mechanic. This is because Warrior, Sorcerer, Gunner, and Ninja have long iframes and if they time it correctly, they can iframe the attack. Just look at the blue circle filling up for timing reference. Spread bomb – Most likely targets farthest target (not always the case). 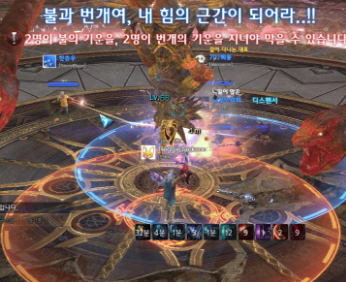 Boss will turn to the target with secondary aggro and throw a barrage of yellow puddles left, right and behind. Avoid this attack by moving (or iframe) TOWARD the boss. Also, even if you are not targeted, be careful of your surroundings as you may accidentally be bombarded by this as well. You might barely survive with one or two hits though. Again, avoid TOWARD the boss. Claw Slam – With the red flash on his eyes, the boss will raise its arms and have a seizure before slamming down which can stun you. If a party member is stunned, it will say “This should keep you quiet!”, face the stunned target and throw down a barrage of slams. 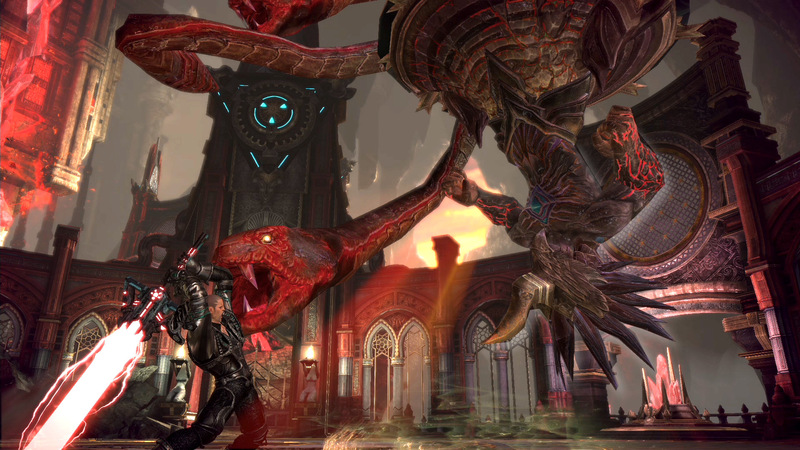 Claw and Body Slam – The boss will raise its arms BUT he will quickly strike its claws down, try to backflip and fail horribly by landing on its belly. Thankfully, both can be blocked, but DPS must stay shard when it jumps for body slam as it inflicts STUN. Similar to Claw Slam, if a party member is stunned, it will say “This should keep you quiet!”, face the stunned target and throw down a barrage of slams. Barrage of Slams – Triggers when there’s a stunned target. Boss will turn to stunned target and repeatedly smash its front with its claws. Hurts a lot. get out of it ASAP. Purple Breath – Randomly targets one person while saying “Have a glimpse of despair!” and spits purple breath to the target, then follows up with Body Slam. The breath inflicts SILENCE (cannot use skills for 2 seconds), and the body slam inflicts STUN. Similar to Claw Slam, if a party member is stunned, it will say “This should keep you quiet!”, face the stunned target and throw down a barrage of slams. For veteran players, this is similar to both TSHM Yana’s colors mechanics and SSHM Pahoegar’s pillars mechanic. TL;DR – Pick the Otherworldy Portal color closest to entrance. Place Elemental Gates near the entrance. Kill all gates except the chosen Portal color, and hide behind the chosen gate for the wipe mechanic. PLEASE NOTE THAT: These Big Portals completely circles around the map at exactly 48 seconds, regardless of the number of Elemental Gates circling around. 3 random party members will have purple orb above their head and a 6-second debuff . (After 55%, 4 random party members will have purple orb.) After 4~5 seconds (as debuff timer goes from 2 to 1 second), there will be an elemental gate placed on them facing the center. The color of these Gates are random and there is no way of telling who has which color. Note: We recommend placing the gates close to the entrance, towards the center of the room, not stacked on each other. Immediately after this will be a small AoE beneath each individual player, these AoEs can remove the Elemental Gates placed down earlier. Removal all the gates except for the “safe color” gate. Make sure to leave 1 Elemental Gate left or else you will fail the next part of the mechanic. The boss will go to the center of the room, say Time to end this! and begin the wipe mechanic. This is similar to the Curse Ritual in VoK, but everyone MUST hide behind the chosen Elemental Gate that was placed down earlier. This mechanic cannot be iframed since it lasts around 3 seconds. The Elemental Gate will “warp” the AoE that came down to one of the portals circling the room, color corresponding. The outer portal which spits the AoE out will leave a Poisonous Field on the ground which does 100k ticks of damage, this last the entire fight (very similar to ABHM Krakatox Demokron Virus puddle, but worse). PLEASE NOTE: The time it takes for Elemental Gate to leave a streak on the ground from Balbatos saying “I’ve been too easy on you!” is about 22~24 seconds. I will come back to this later. Cannot be iFramed, Cannot be Blocked. Not even Smoke Bomb, Recall and Warp Barrier will save you. Left: Safe behind the Elemental Gate. Right: Big Blue Otherworldly Portal leaves a streak. PRO TIP: Don’t be too greedy with DPS. 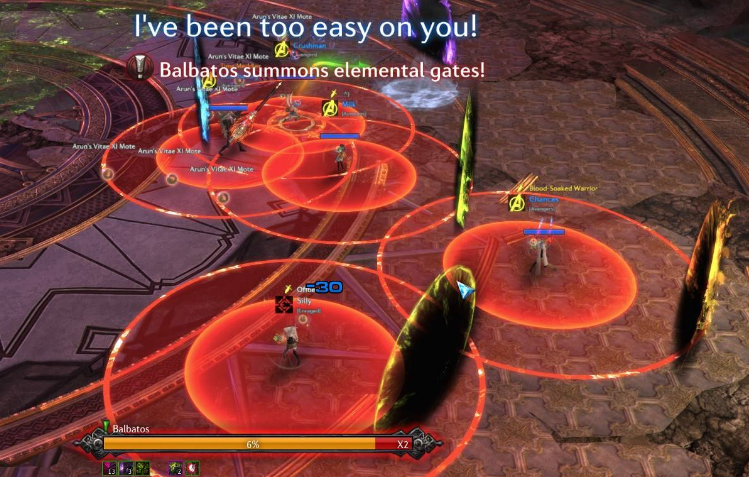 120 Degree Cone – Immediately after the wipe mechanic, Balbatos will randomly target a party member and put a large cone AoE, which instantly kills anyone inside that AoE. 200k Flat Damage PER TICK. Cannot be iFramed. Cannot be Blocked. Big Otherworldly Portals completely circles around the map at exactly 48 seconds, regardless of the number of Elemental Gates circling around. 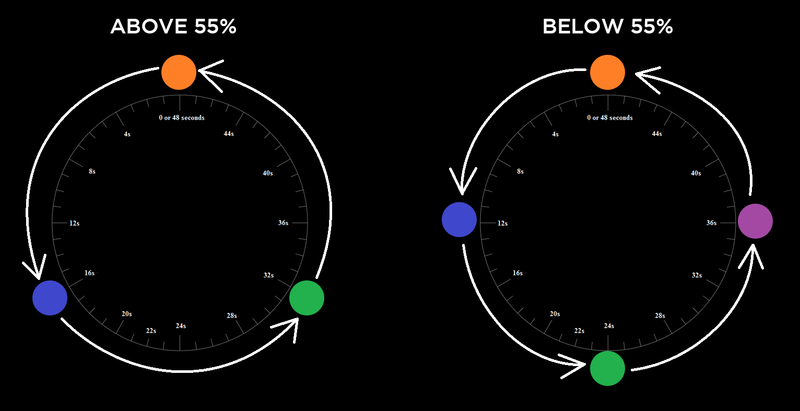 That means they are rotating around the map at the rate of 7.5° per second. I will come back to this later. Best place to put Small Elemental Gates is somewhere near inner circle. I will also come back to this later. The time it takes for Elemtanal Gate to leave a streak on the ground from Balbatos saying “I’ve been too easy on you!” is about 22~24 seconds. I will come back to this later. The Otherworldly Portals are located like this (48 Increments of 7.5°) and move in a counter-clockwise direction. 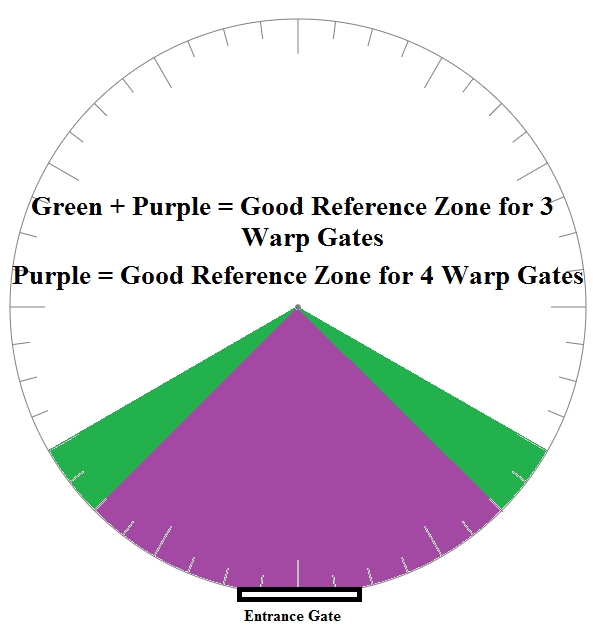 You can see that Orange, Blue, and Green Otherworldly Portals are equidistant by 120° (If there is Purple Elemental Gate as well, then it’s 90° apart). 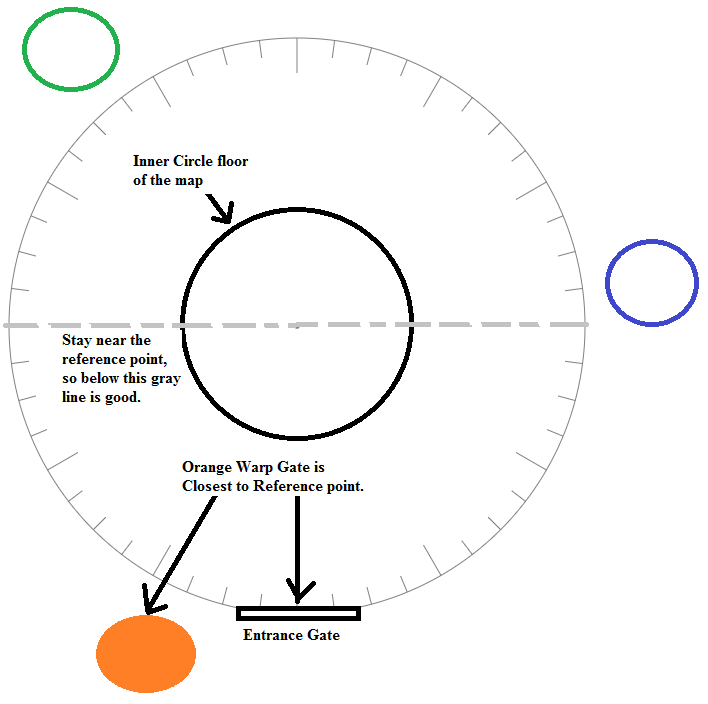 Since Otherworldly Portals rotate Counter-Clockwise, the timer is also listed counter clockwise. 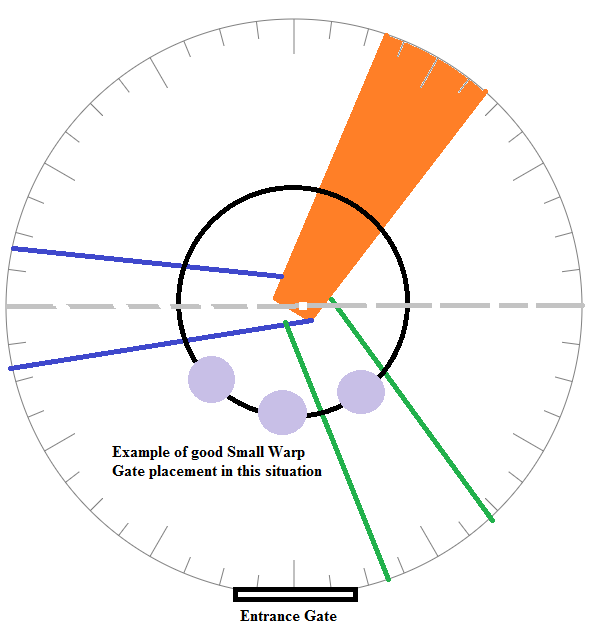 This means that, if you want to safely succeed in doing this mechanic, the placement of Small Elemental Gate you want to hide behind MUST NOT be across (about 165°~180° around the circle) from the Big Otherworldly Portal. If you mess this up, you can get killed by the giant poison lane! Now we know the logic behind this, let’s move on to actually doing the mechanic without the maths. How-To: So then what should the whole party do? Choose a point of reference: the entrance to the third boss room is a good point. Then, whenever there’s a “I’ve been too easy on you!” mechanic, someone (preferably Healer) should look at that point (the entrance), and say the color of the Otherworldly Portal closest to that point (example: “O” for Orange, “B” for Blue, “G” for Green, and “P” for Purple for quick chat spam). Even without knowledge of Geometry, you can already tell that, the closer you are to the boss, the easier it is to get out. You actually have entire 4 seconds between that indicator showing up and getting hit (and dying) from this attack, but if you are too close to the wall, you may reduce the chance for you and your party to survive this attack due to how far you have to travel. Circle or Donut – SAME THING AS KAPRIMA, for this mechanic Balbatos will slam his Scythe into the ground and a indicator will appear. 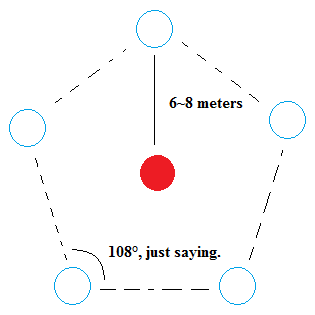 If it’s a circle you need to get out or iframe, if it’s Donut you need to get inside. It give you plenty of time to react to this mechanic (4 seconds). If you want to iframe the circle, you need to watch when he stomps his hoof (right foot). The AoE detonates as soon as he stomps. This attack can be fatal. One-shot in most cases. 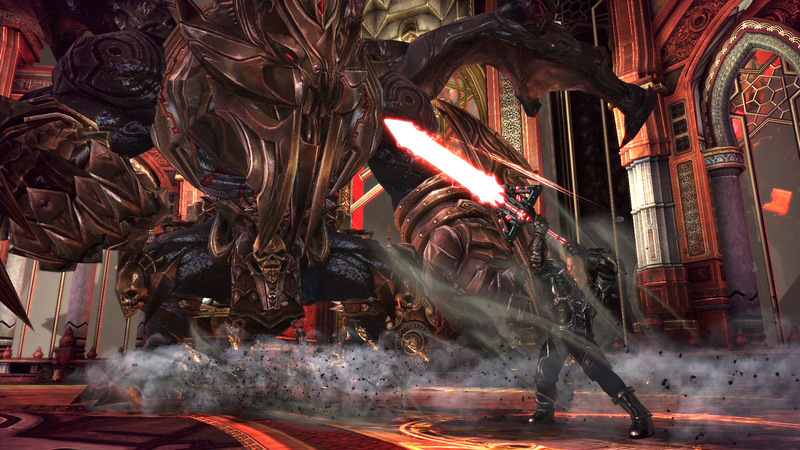 Warping Breath – Two large pink warp gates will appear in front and behind Balbatos. He will then unleash a purple breath attack toward the warp gate in front of him which is sent to his behind as well, inflicting damage on party members behind him. See Image below. This attack can be fatal, but easy to dodge. Scythe Slash – The basic among basic attacks. He just either slashes the person with aggro, or turn around and slash. Just watch out as it can catch you off guard. It’s pretty fast compared to Kaprima. Scythe Crush – Crushed wherever he is facing with the hilt of its scythe in front of him. Scythe Slam – Balbatos will slam either the blade pointing downwards or upwards toward the person with aggro and pause for a moment. At that instant, look at the position of its blade. Blade is UP: He will swing his scythe around him, hitting everyone nearby. 12m(?) radius. However, don’t get too cocky as it will push you across the room if you get hit by this. DPS and Healer need to get ready to iframe while Tanks can simply block. This attack has PUSH BACK effect. Smashs his behind with his scythe. Nothing much. Quick Spin – Balbatos’ eyes will flash red very quickly and he will perform a very fast spin directly around him. This deals quite a bit of damage but you can survive it assuming you have good rolls on your gear. Balbatos Combo – He actually has a consecutive combination of his basic attacks. I didn’t get to see much of this, but the combo goes: Stomp, Spin Slash, Uppercut, and Spike Down. But he will not follow up any of the Slam Down chain mentioned above. Fireball – Targets random party member and throws fireball. That’s it. It’s so easy to dodge, you’ll accidentally dodge it while repositioning anyways. It doesn’t hurt much, but if you facetank all three balls, it can be fatal. One qestion on last boss when double portals come <40% why some ppl can't use skills and iframe small aoe?? Coz all portals was broken? i forgot to say we skip portals and Lancer shield us anyone know?? Maybe it’s just me, but about the fire/lightning part, I view it a bit simpler like this: whenever the numbers are equal, that’s the number of persons that must be in the intersection and *only* intersection (e.g. 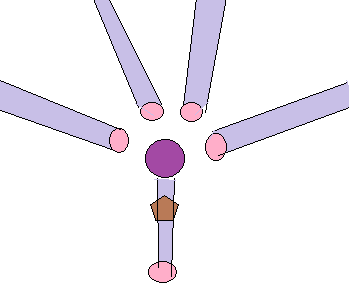 if it’s 4/4, then 4 persons stay in the common area, and nobody else in rest) — this can be easily seen in the diagonal of your drawings, top-left > down-right. If the numbers differ, the difference tells you how many persons stay in the respective remaining area, and the lower number tells you how many are in the intersection (e.g. 3F/5L means 5-3=2L [L is the greater number], so 2 stay in the exclusive lightning area, while 3 3 stay in the common area). Thank you for the tutorials, noobs like me should make a carved idol. The Fire and Lightning Mechanic for first boss can be Plagued/Regressed. On the first boss, when he does fire and lightning I’ve heard that healers can plague/regress to avoid the safe zone shrinking even if we fail the mechanic. When should I do that if I’m running BP as a healer? As soon as the text announcement pops up, plague will bug this mechanic from going through. From what I know, only priest to plague works (mystic regression doesn’t seem to work). Thank you. Regression definitely works, I have seen a mystic do it in the past. Someone told me to do it right as the circles for fire/lightning pop up, so perhaps you do it a bit too early? so.. about the last boss’s wipe mech, “This mechanic cannot be iframed since it lasts around 3 seconds.” if the length of it is the only issue, would ninja’s smoke be able to skip it? (stoneskin even) or its the kind of thing that will hit u regardless of u being mid-iframe ?